Nowadays there are many types of massage therapy techniques people can choose from. Of course, it all depends on what they are trying to achieve. For example, some massage techniques are better at relaxing the muscles while others are meant to relieve pain or improve the blood flow. There are also some specialized techniques like the ones used in the hot stone massage therapy. This type of massage therapy might not be as well-known as some of the others, but it’s certainly worth looking into as it can offer a wide range of benefits. 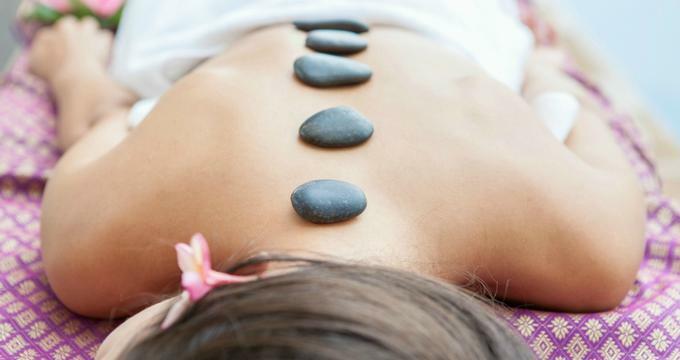 What Exactly is Hot Stone Massage Therapy? In many ways, this particular technique is very similar to other types of massage therapies. The key difference, of course, is that this method involves the use of hot stones. The stones are smooth and are usually made of basalt, a type of volcanic rock known for its ability to retain heat. These stones are kept in hot water until they are warm enough to be placed on the body of the client. They need to be placed on specific parts of the body, such as the back, face, hands, stomach, or feet. In some instances, the stones are not placed on the body but rather used by the therapist as a massaging tool. Despite the name of this method, it’s not uncommon for therapists to also use cold stones as part of the treatment. They’re usually placed on the face as they can help soothe the facial skin. Hot stone massage therapy is believed to have been first used in ancient China some 2,000 years ago. This method has become a lot more widespread since then and is now being used by therapists in many different parts of the world, including the United States. Massage therapy, in general, has been proven to be a very powerful tool to relieve pain but hot stone massage therapy seems to be even more effective than many of the other methods. Its effectiveness depends on a number of factors, such as the intensity of the massage and the targeted area. A number of studies have linked hot stone massage therapy to pain relief in patients suffering from rheumatoid arthritis and fibromyalgia. Those suffering from these conditions are more likely to benefit from hot stone massage therapy when the therapist uses moderate massage techniques. In this day and age, more and more people suffer from stress and anxiety. Luckily, there is an increasingly high number of options available for those looking for a treatment that does not involve any medications. Hot stone massage is definitely one of those. Most types of massages are very effective at relieving symptoms of stress and anxiety, including hot stone massage therapy. Not only that but this type of massage also relaxes the muscles, which in turn, helps maintain a healthy cardiovascular system. This is very important to remember because a properly oxygenated brain is much better at handling stress and anxiety. Everybody knows that joints become more difficult to move with age, however, there are other factors that could reduce a person’s mobility even if that person is still young. One of these factors is muscle tension, which can not only lead to reduced mobility but also to pain. Hot stone massage therapy is an effective treatment for aching joints as the massage relieves muscle tension and allows the joints to move more freely. This type of therapy is particularly beneficial for those suffering from various joint disorders such as arthritis, for instance. High muscle tension can lead to a variety of problems over time, including spasms, cramps, and even pain. All of these symptoms can be relived in time by treating the root problems, which are muscle tension and inflammation. Given that hot stone massage therapy is a very relaxing technique, this method is particularly effective at reducing muscle tension. In turn, this will result in fewer spams and less pain, though it might take a few sessions until the results become truly noticeable. The effect of this treatment on muscles is proven by the fact that many athletes use it as a way of relaxing their muscles and improving the blood flow. Most people are fully aware of how important it is to get a good night sleep. And yet, busy schedules and stressful jobs often interfere with the natural sleep cycle and can lead to sleep disorders like insomnia. In turn, this issue can cause some serious health problems. For example, the lack of sleep is directly related to an increased risk of coronary diseases, like stroke and heart attack. There are many ways of treating sleep disorders, including massage therapy. It is a well-known fact that stress and tension can make it harder for a person to get a good night sleep. Hot stone massage therapy relaxes both the body and the mind, which makes it easier for patients to return to their regular sleep schedule. Hot stone massage therapy is always a very safe and relaxing experience but there are certain things patients can do in order to get the most out of it. First off, it’s vital to do some research and make sure that the therapist is specifically trained for this type of massage and knows all the correct techniques. Equally important is to communicate with the therapist while they are performing the massage. Every person is different so the therapist needs to know when the patient is feeling too much pressure or feels uncomfortable for some reason. What is a Korean Spa?